I used to think that Christians were ignorant to believe the “stories” in the Bible. I was taught those stories as a child, but I grew up to “know” they weren’t true. Or did I? My investigation into the claims of theists about the existence of God and Christians about the existence of God’s Son led me into a study of archaeology in 1971. I was especially interested in archaeological expeditions from the Middle East because much of the Old Testament was written in and about that area of the world. I was a bit surprised to discover that many archaeological findings pointed to the “possibility” that people written about in the Old Testament may have actually lived at the time the writers claimed. But what about the claim that a small family left Canaan, entered Egypt, grew to great numbers, were forced into slavery, then were freed from slavery by a man who performed great miracles that brought the mighty Egyptian government to its knees? Here’s what I learned from archaeology. Archaeological discoveries during the 19th and 20th centuries AD demonstrated that clans like Jacob’s did exist in Canaan during the Middle Bronze Age (MBA, 2100 – 1570 BC) and did travel to and from Egypt. The question before me in 1971 was whether Jacob was a real person who moved his family to Egypt at some point in the middle of the MBA after one of his sons became a ruler in Egypt. Sounded a bit far fetched to me at the time, but let’s see what we learn from archaeology. Genesis 37 presents Joseph as a 17-year-old son of Jacob living in Canaan. Jacob asked Joseph to go from the “Valley of Hebron” to “Shechem.” Now we have something solid to search. Did either of these places exist during the MBA? Professor Philip C. Hammond earned his Ph.D. in archaeology at Yale University in 1957 and taught at Princeton as well as Brandeis University and the University of Utah. Dr. Hammond directed the American Expedition to Hebron (also called Tell er-Rueide, Tel Rumeida, and Tel Hebron) from 1963 – 1966. The city was dated to the Early Bronze Age (EBA, 3300 – 2100BC). The Six Day War interrupted Dr. Hammond’s research in 1967 and he moved on to new expeditions in Jordan. Jacob sent his son Joseph to look for his older brothers in a place called Shechem. Did a place named Shechem exist in the Middle Bronze Age? It did. Hebron was located about 20 miles south of Jerusalem. Shechem was located about 30 miles north of Jerusalem. German archaeologist H. Tiersch and his team investigated Tell Balata in 1903 and determined it contained the ruins of the ancient city of Shechem. Other European archaeologists excavated Tell Balata prior to and after World War I. American archaeologists G. Ernest Wright and B.W. Anderson excavated there during the 1950s and 60s. Archaeological findings revealed that ancient Shechem of the MBA contained houses made with mudbrick walls built on stone foundations. Domestic artifacts were found that would have been used in that era. Archaeologist John Garstang (University of Liverpool) made a discovery in 1901 in Egypt of an ancient stele (Khu-Sebek) dating to the MBA that described how the army of Pharoah Sesostris III (12th king of 12th Dynasty) fought battles in Sekmem (Shechem) and defeated the people there. The stele showed that Shechem was an important city as early as the 19th century BC. The Khu-Sebek Stele is on display at the University of Manchester Museum in England. We read in Genesis 37:15-17 that Joseph met a man along his journey north to Shechem. The man asked Joseph what he was looking for and Joseph answered, “I am seeking my brothers. Please tell me where they are feeding their flocks.” The man said, “They have departed from here, for I heard them say, ‘Let us go to Dothan.” Joseph left Shechem and found his brothers in Dothan. Did a place named Dothan exist in the MBA near Shechem? Archaeologist Joseph Free and his team excavated Tell Dothan between 1953 and 1964. Tell Dothan is located about 13 miles north of Shechem and was found to have been occupied prior to the EBA and for thousands of years thereafter. Dothan would have been a well-known location during the time of Jacob and Joseph. This passage raises several questions: were there a people known as Ishmaelites during the MBA? Were Ishmaelites also known as Midianites? Did Gilead exist in the MBA? Would Dothan been on the way from Gilead to Egypt? Was there any significance to the payment of twenty shekels of silver? Ishmaelites were distant relatives of Jacob and his sons. Ishmael was the son of Abram and his wife Sarai’s Egyptian maidservant Hagar (Genesis 16). Even though Ishmael was not the “son of promise,” God blessed him and promised that he would be the father of twelve “princes” (Genesis 17:20). Ishmael and his half-brother Isaac buried their father Abraham “in the cave of Machpelah, which is before Mamre” (Genesis 25:9), which was located near Hebron. Iron Age (IA – 1200 – 550 BC) inscriptions from North Arabia, Assyria and Babylonia mention the King of Kedar as king of the Arabs and Ishmaelites. The tribes of the Ishmaelites included the names of some of Ishmael’s sons. [Delitzsche, 1912,; Montgomery, 1934; Winnet, 1970). The land “east” of Hebron would have included the land of “Havilah as far as Shur, which is east of Egypt as you go toward Assyria” (Genesis 27:18). That was a description of the land Ishmael and his sons inhabited after Abraham sent Ishmael away. 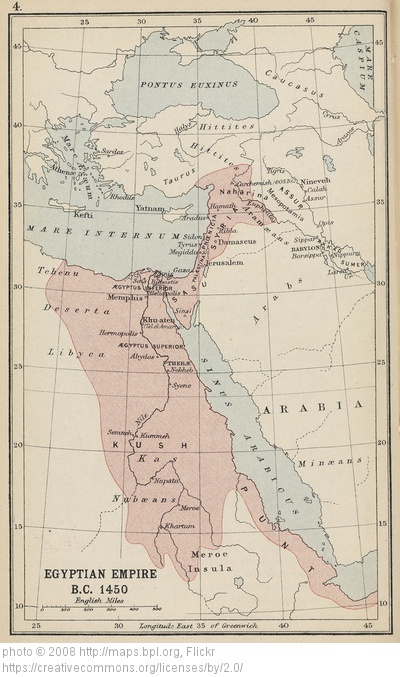 Egypt and Assyria were well known locations in antiquity. The Bible also mentions Havilah and Shur many times (e.g. Genesis 2:11; 16:7; 20:1; Exodus 15:22; 1 Samuel 15:7; 27:8). The name Havilah means “sandy stretch” and was descriptive of the large area of sand to the east of Canaan and Egypt. The name Shur means “wall” and may have be used for a walled area the Egyptians built as fortification on their northeastern border. Some students of antiquity think Shur may refer to the mountain wall of the Tih plateau in the central part of the Sinai. Later references in the Bible to Ishmaelites and Midianites demonstrate they were viewed as being of the same people (Judges 8). The Ishmaelites and Midianites were known to live in the wilderness of Shur and possibly intermarried and worked together. That could explain why the men who purchased Joseph were called both Ishmaelites and Midianites. Archaeologist Nelson Glueck discovered Midianite pottery (also known as Qurayya ware) during excavations in the 1930s in central and southern Jordan, northwestern Saudi Arabia, the Sinai and southern Israel. Dating of the pottery was to the Late Bronze Age (LBA – 1570 – 1200 BC). Ancient Gilead was located east of Dothan and the Jordan River. Ancient trade routes in the Middle East included the King’s Highway, the Way of the Sea, and the Ridge Route (aka Way of the Patriarchs). The King’s Highway connected Damascus, Syria in the north to Ezion-geber at the Gulf of Aqaba in the south and lesser trade routes that led to the Sinai Peninsula and Egypt. Ramoth-gilead was on the King’s Highway route. The Way of the Sea (aka Via Maris, International Coastal Highway) extended from the Egyptian Delta in the south to Syria and Mesopotamia. What I discovered from the findings of archaeology and ancient mapping was that Ishmaelites/Midianites coming from Gilead to Egypt could have bought Joseph from his brothers near Dothan. That information moved the story of Joseph and his coat of many colors from the improbable world of legends and myths to the possible world of real history. More questions about Joseph and answers from archaeology in our next post. Reblogged this on Karate for Christ of Michigan.